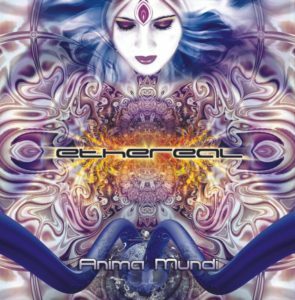 Originally released by Tranceform Records in 2003, this is a full-length artist album by Ethereal featuring seven previously unreleased tracks. The name of the album Anima Mundi is an old latin term for “soul of the world”, a pure ethereal spirit diffused throughout all nature. People looking for a set of complex layered sounds, hypnotic synth-melodies and twirling acid sounds won’t for sure be disappointed. Mastered by Jim Granlund at the Sphere with artwork by Ako Zahir. MP3 Download | FLAC Download | WAV Download · Download count: 8,004. Yes!!!!!! This album got me into the psychedelic trance scene! Big love for sharing this!!! This release is a pure diamond.